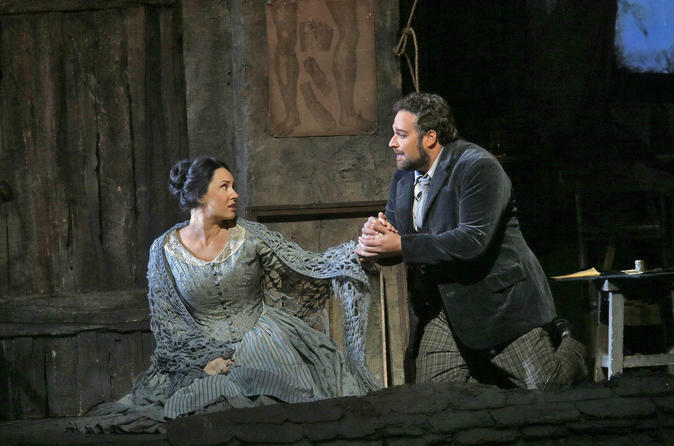 Enjoy a showstopping performance of 'La Bohème' at the Metropolitan Opera in New York City. Located at the famed Lincoln Center for the Performing Arts, the Met, as it’s affectionately called by locals, is a Manhattan must-do for anyone who likes a great performance. With this admission ticket for seating in the Orchestra section, you'll enjoy a prime vantage point for watching one of Puccini’s most popular operas. Both matinee and evening performances are available. Treat yourself to a night at the opera with a performance of La Bohème by Giacomo Puccini. Part of the legendary Lincoln Center for the Performing Arts on the Upper West Side of Manhattan, the Metropolitan Opera House is one of the best places on the planet to see an opera. The building seats 3,800 people and first opened in 1966 with a performance of Samuel Barber’s Antony and Cleopatra. This 4-act opera, La Bohème, first premiered in Turin in 1896 and has grown in popularity ever since with its story centered around young bohemians living in 1830s Paris. Franco Zeffirelli’s amazing production brings to life the tale of love and loss between the two main characters, Rodolfo and Mimì. The opera is sung in Italian, and the Met provides subtitles in English, German and Spanish on the back of each seat, so you can easily follow along.